After the success of the first three editions, we are keen on presenting the fourth call for proposals for unconventional travel projects, best known as “Bando FuoriRotta”. The so-called “FuoriRotta” project is meant to encourage the reflection on the right to travel in this time of great contradiction between global communications and increased borders. We think it is fundamental, now more than ever, to emphasize the meaning of travelling not only as a way of experiencing the knowledge of the “Other”, but also as a contamination of viewpoints and as an opportunity to open up our minds and overcome barriers. We did it and we will do it, this year joint by three new authors and unconventional travellers awarded by the first edition of this project. We did it and we will do it, by recounting our own travels and those of the travellers we’ve got in touch with. Most importantly, we want to do it by encouraging new “off-road” (“FuoriRotta”) travellers, who should be ready to undertake unconventional travel experiences and move towards unusual directions, in non-conformed ways and through unexpected lands and stories. The call for proposals for unconventional travel projects “FuoriRotta” is aimed at identifying original travel projects to be developed on free travel routes (with any starting point and destination) and supported by strong research motivations and documentation purposes. The ideal candidates are expected to cover research paths that lead them to become truly aware of the diversity of distant (not only physically and geographically) socio-cultural, economic, political and environmental contexts. After three years of resistance, we decided to open up the call also to the over-30 aspiring travellers, by extending the age limit up to 40. This way, we intend to design a proper “FuoriRotta” competition, with fixed prizes, still keeping an eye on the youngest. How will we do it? The submission of the projects proposed by one or more under-25 travellers (up to 24 years old by April 30th, 2018) will be free of charge. The submission of the projects proposed by one or more travellers aged 25-30 (age proven by April 30th, 2018) will imply the payment of an entry fee of € 25,00 best before April 12th 2018 (Greenline) and of € 35,00 best within MAY 6th 2018 (EXTENDED DEADLINE). The submission of the projects proposed by one or more travellers aged 31-40 (age proven by April 30th, 2018) will imply the payment of an entry fee of € 50,00 best before April 12th, 2018 (Greenline) and of € 60,00 within MAY 6th 2018 (EXTENDED DEADLINE). In the case of groups of travellers, the belonging age category will be determined by the average between each participant’s age. For example, a group composed by a 18-year-old traveller, a 22-year-old traveller, a 28-year-old traveller, a 32-year-old traveller and a 39-year-old traveller will belong to the 25-30 age category à (18+22+28+32+39)/5= 27,8. The participation fee will be applied on the single project submitted, regardless of the number of travellers, which in any case must not exceed the maximum number of five people. There is no limit to the number of projects that can be submitted by the same single traveller or group of travellers and it’s possible, for an individual candidate, to join different travellers and submit different projects. If one candidate is awarded for the submission of more than one project, he or she will be financially supported by FuoriRotta for only one of these projects. As for the submission process, in case of groups, each project must be represented by a contact person, who will have to complete the application form and be responsible for any communication needs from and/or to FuoriRotta’s staff and authors. FuoriRotta will select six funded prizes and six not funded special mentions. Please note that the second and third prizes will be assigned at least to one under-30 beneficiary or one group of under-30 beneficiaries, while the fourth, fifth and sixth prizes will cover at least on under-25 candidate or one group of under-25 candidates. The 12 selected projects will be offered the participation in the crowd-funding campaign hosted by the website www.fuorirotta.org, through which each project will have the chance to reach, and eventually implement, the budget estimated during the application phase. EXTENDED DEADLINE: MAY 6th, 2018, time 23:59:59 (local Italian time). As described in the previous points, the two different deadlines will imply the payment of two different fees: the submissions completed best before April 12th will get a reduced fee, whereas those which will be forwarded within the final deadline (April 30th) will imply the payment of the full fee foreseen. The results of the selection will be announced on the website www.fuorirotta.org on May 22th, 2018. The selected travels will have to take place any time between July 1st, 2018 and December 31th, 2018. The duration of the proposed trips is completely at the discretion of the proponents, but it must be appropriately motivated, according the instructions given in the subsection “Characteristics of eligible projects”. FuoriRotta travels don’t need long-distance destinations but deep curiosity leading travellers to experience diversity from a social, human or environmental-concerned point of view. The accurate choice and description of travel modes and means will play a key role in the selection of the best projects. In fact, FuoriRotta endeavours to contrast the idea of pre-packaged tours, causing the pseudo-traveller to be forced to the reassuring – but somehow motionless – condition of a tourist. For this reason, slow transfers, either by land or by sea, will be preferred to fast commonly used means of transport. As the selection of places to sleep, to eat and to rest greatly influences the journey’s potential to produce knowledge, the choice of resting places and hospitality facilitations (or at least some hypothesis concerning these topics) will also play an important role. The duration of the trip is not predetermined, but the participants are expected to take particular care of the times of experiences (not just those of physical travel). At the same time, economic sustainability should be taken into account. The purpose of the support granted to the selected projects is to place the travel experience, along with its sharing, at the very heart of the journeys, thus preventing consumptions from exceeding. Therefore, the projects displaying reasoned and sustainable budgets, based on the specifics needs of the proposed trip, will be appreciated. The envisaged budgets may vary from € 500.00 to € 1,500.00, to be intended as a suggestion. Project applications can be submitted by filling in the provided online form. [optional] Reference to other documented travel experiences or different types of report or account that could serve as a sample to define the applicant’s narrative potentialities (link to videos, picture galleries, story boards…). As for the documentation, FuoriRotta’s authors and staff warn about the fact that it is not necessary to create an audio-visual reportage or to have specific skills in the field of documentary production, actually encouraging the applicants to choose original and non-conventional reporting options, such as object collections, illustrations, vocal records, etc. For the purposes of documentation of experience only, a short audio or video teaser or a show-reel about the travel will be required at the very end of the trip. On the other hand, the specific project documentation can have a heterogeneous and not necessarily audio-visual nature. All documents should be submitted either in Italian or English (if the audio-visual document is produced in a different language, subtitles in Italian or English are required). The winning projects will be examined and selected by a Jury, that will be formed before April, 12th, 2018. 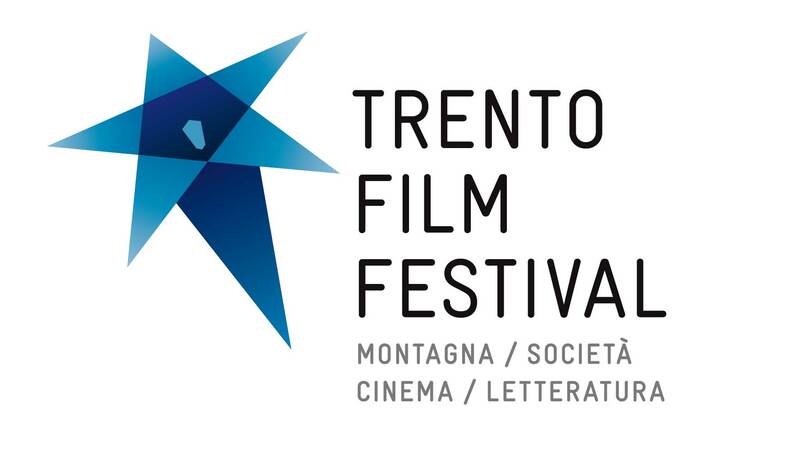 The names of the Jury members will be published on the website www.fuorirotta.org by April, 30th, 2018. The Jury, the authors and the staff may ask the short-listed candidates to arrange a Skype interview before the final selection is made. If applicable, the interview will be scheduled between May 2nd and 20th, 2018. As happened in the previous editions, the winning projects – both funded and not funded ones – will have the opportunity to complete their own fund-raising by participating in the crowd-funding campaign hosted by the website www.fuorirotta.org. The campaign will be launched on June 4th, 2018 and will close on June 30th, 2018, before the travel actually start. By 29th May, 2018, the representatives of each project will have to provide brief promotional materials to be published on the platform. During the campaign, the members of each project as well as external people interested in supporting them can organize fund-raising events in collaboration with FuoriRotta. produce some promotional materials (project summary, images, videos, list of benefits offered to the supporters) for the crowd-funding campaign by May 29th, 2018. During and immediately after the trips, the selected applicants will be expected to produce materials describing their projects by using any suitable expressive code and basing on the schedule agreed upon before the departure. They will be asked to provide the staff with a brief report on the ongoing activities once a week, including pictures or images, short videos or audio recording, illustrations or other documents previously agreed upon with the staff. The travel stories produced and shared by the travellers may be published by FuoriRotta on the project’s official website or on the other communication channels and platforms connected to the project. Nevertheless, the authors will always be the owner of the copyright. At the end of the journey, the selected applicants will have to provide the staff with a complete and detailed technical report and a free-scheme report on the experience, according to the instructions given before the departure. These reports must be handed in best before 15 days after the end of the travel and, in any case, no later than January 31st, 2019, according to specific procedures that will be shared with the selected applicants. To conclude, candidates have to provide the staff with the research and documentation materials collected during the travel and afterwards produced no later than January 31st, 2019.